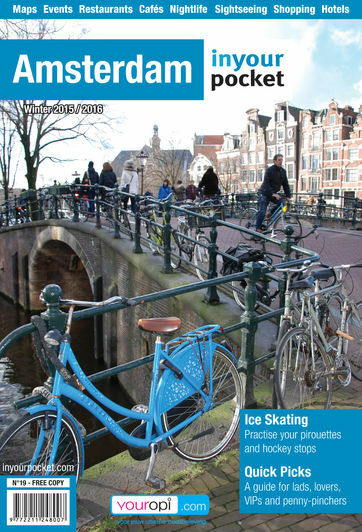 Daunted by our extensive print guide to Amsterdam, a friend of ours recently asked us what could be seen and done in the Dutch capital in only a couple of days. With this in mind we’ve put together some sightseeing, eating, shopping and drinking highlights that can be seen and experienced in 48 hours. Rent a bike to save time or follow this tour on foot. 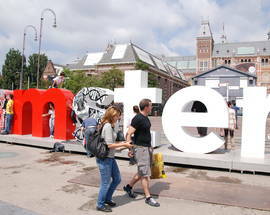 Day 1 – Most people arrive at Amsterdam’s Central Station so that’s as good a place to start as any other. 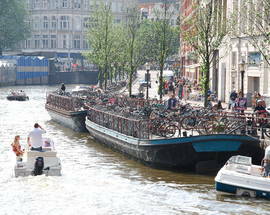 Walk down the touristy Damrak, which is lined with bars, souvenir shops and fast food joints. If you’d like to start your day in true Dutch fashion then grab a deep-fried frikandel and frites at Manneken Pis or just keep walking down the street. The enormous red brick Beurs van Berlage building on the left was considered cutting-edge architecture in its day and inspired the Amsterdam School of design that was to follow. Just ahead is Dam Square home to street performers as well as the National Monument, a 22m-high pillar that looks like a white phallus. 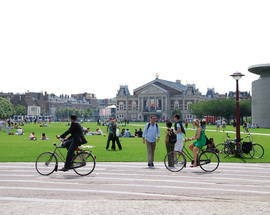 On the opposite end of the square you’ll find Royal Palace Amsterdam whose interior is so opulent you’ll think you’ve been transported to Versailles. Although by no means a must-see, if you really want to queue up and spend €22 then you can also visit Madame Tussauds. Next walk down the Kalverstraat, which is a pedestrian shopping street where you can find major fashion brands as well as cafés and fast food shops. You’ll pass the barely noticeable Papegai, a former clandestine church that is open to the public. 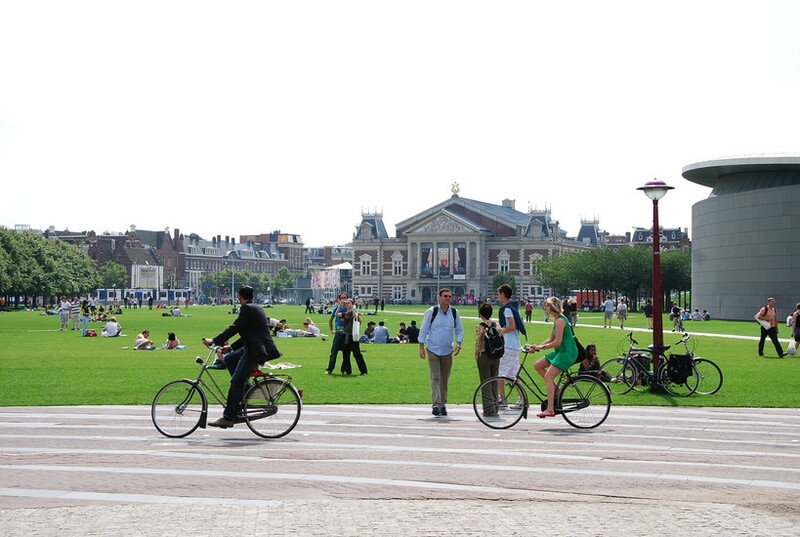 Take a quick look and head down the street until you see the Spui Square on your right. It’s full of cafés as well as one of Amsterdam’s premiere English-language bookshops, The American Book Center. For affordable Dutch food you can’t beat 't Lieverdje just around the corner on the Singel. We always order the uitsmijter or the pea soup. If you’re looking for the ultimate Amsterdam bruin café experience then have a drink and a soup and sandwich at Café Hoppe on the Spui, which has been around since 1670. Continue your walk down the Singel until you reach the famous Flower Market where you can buy seeds, bulbs and lots of souvenirs. Pass the Mint Tower (Munttoren) and walk down Reguliersbreestraat, a popular gay-friendly street flanked by loads of restaurants, until you reach Rembrandtplein. The square is notorious as a nightlife destination and his home to dozens of bars and clubs. Walk across the bridge over the Amstel to Waterlooplein where you’ll find many of Amsterdam’s Jewish sights, including the Portuguese Synagogue. The Rembrandthuis Museum is just around the corner to the left on Jodenbreestraat. If you walk across another bridge you’ll reach Sint Antoniesbreestraat, which leads to the Nieuwmarkt, home to fashionable cafés and bars as well as Den Waag, Amsterdam’s most impressive medieval gate. If you’d like to take a break we like Café Fonteyn on the square or 't Loosje on the opposite side. From here you can explore Amsterdam’s Chinatown on the Zeedijk. Wing Kee and the stylish New King are both good choices for dinner. If you go left from the Zeedijk you’ll run across Oudezijds Achterburgwal and Oudezijds Voorburgwal, the main canal streets of the Red Light district or De Wallen. The bars, coffeeshops and prostitutes behind their windows are the main attractions here, but if it’s still not too late you can also visit the Oude Kerk, the city’s oldest church. The Hash, Marijuana & Hemp Museum, however, is open every day until 23:00. If you walk down the Zeedijk toward the train station you’ll also come across what could be the world’s oldest gay and lesbian bar, Café ‘t Mandje. Finally, we always recommend a visit to an old fashioned proeflokaal to taste a traditional Dutch liqueur or spirit like jenever. De Ooievaar (open daily) and In de Olofspoort (closed Tuesdays) near the end of the Zeedijk are both good choices. For excellent beer brewed on the premises visit Proeflokaal de Prael a short walk away on Oudezijds Armsteeg. Day 2 – Start your second day in Amsterdam on Dam Square, but this time walk down Radhuisstraat (behind the Royal Palace) toward the hip Jordaan district. You’ll see the unmistakable Westerkerk on your right as well as the Anne Frank House on the Prinsengracht. Although it may sound harsh and contrary to what most guidebooks write, this museum doesn’t offer much beyond its heart-wrenching story. The enormous queues outside are a major turn-off and a large waste of time if you’re only in town for a short period of time. If you haven’t eaten yet, sample a wide variety of traditional Dutch pancakes at The Pancake Bakery just down the street before Prinsenstraat. If you’re already exhausted, then we recommend taking the green line of the Canal Bus hop on/hop off boat down the Prinsengracht to the Rijksmuseum stop. If you’ve got plenty of energy then walk south down the canal and you’ll be rewarded with great shopping opportunities in the so-called Nine Streets district on the left, which is crammed with unique, independent shops and boutiques. Continue south all the while admiring the scenery until you reach Leidsestraat and then follow the tram tracks south until you reach Leidseplein, also known as Party Central. You’ll find clubs, restaurants, coffeeshops and other entertainment opportunities here, so you might want to grab lunch in the area. The Satellite Sports Café offers loads of flat screens as well as enormous English breakfasts, pancakes, pizzas, burgers and steaks as well as an all-you-can-eat ribs special. 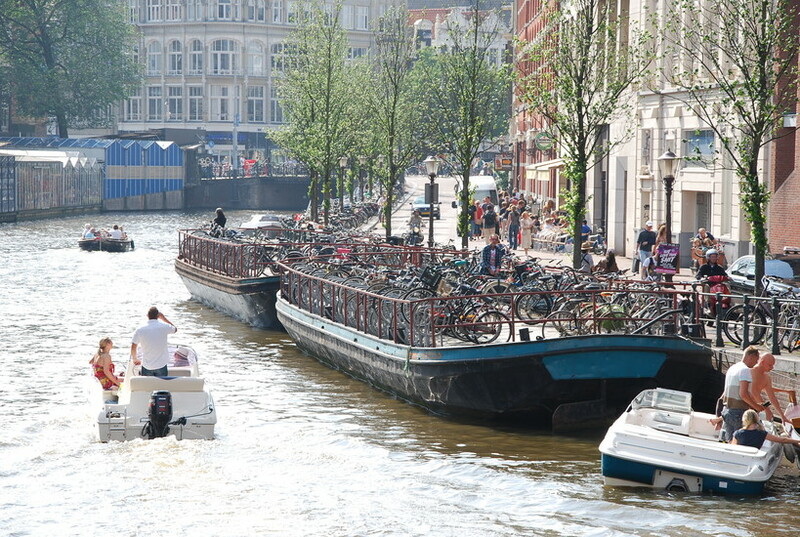 You can also walk down Korte Leidsedwarsstraat for lots of other eating opportunities and then follow the Lijnbaansgracht to the Spiegelgracht. To your left is the best collection of antique shops in Amsterdam and to the right is a bridge that will take you to the recently renovated Rijksmuseum where you can view works by Rembrandt and other Dutch masters. 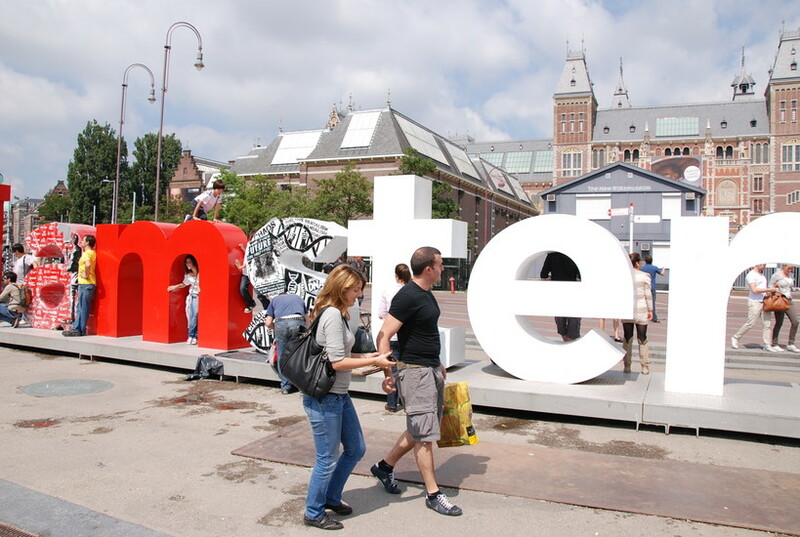 Behind the museum you’ll find the Van Gogh Museum and the Stedelijk Museum dedicated to contemporary and modern art. After waiting in queues to get in, it’s very unlikely that you’ll be able to see all three in one day, so you’ll have to choose carefully. If, however, you believe that the finer things in life revolve around beer and alcohol and not painting and sculpture, as some would have you believe, then visit either the House of Bols Experience opposite the Van Gogh Museum or walk farther down Stadhouderskade until you reach the Heineken Experience. After your art or imbibing experience you can have dinner in the lively De Pijp district. Walk over to the Albert Cuypstraat street market and try delicious, yet affordable Middle Eastern and North African cuisine at Bazar. Burgers more your speed? Try The Butcher on the same street or The Thrill Grill a block over on Gerard Doustraat. If you’d like to taste authentic and exotic cuisine from Suriname, a former Dutch colony, head over to Spang Makandra at Gerard Doustraat. The De Pijp neighbourhood is bursting with bars and cafés, so you won’t have much problem finding nightlife, but if you’re looking for clubs then you can head back to Leidseplein.